IFrames can be used to allow for embedding widgets in HTML pages. You can read about this in an old post. 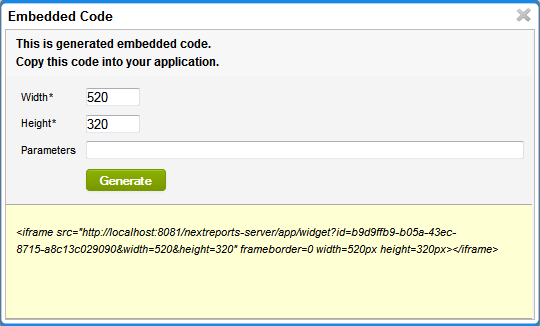 The new version of NextReports will also allow to enter the parameters string, if any, making embedding code generation easier. The usefulness of this is that if an encryption key is entered inside iframe server settings, then the embedded code will have the special P encrypted parameter automatically created.